There are a lot of factors that come into play when creating the perfect voice over. 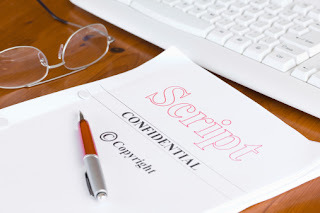 Aside from the actual voice talent, a major component for success is the script and how it’s written. If you’re drafting a script, here are some tips to help make it easier for the voice actor AND more effective for your target audience. Nothing mucks up a script faster than trying to make it grander than it is. Keep it simple, be direct, and avoid unnecessary language – especially big words that will leave some of your audience scratching their heads and seeking out the nearest dictionary. Simplicity makes for scripts that are easier on your voice and your audience, and there’s less chance for you to stray off topic as well. Along the same vein as keeping your script simple is to make it conversational. You want a script that can be read in a conversational manner, which will better appeal to your audience. Listeners respond better to messages that are delivered in a less formal way, so write your script as if you were talking to a friend. While punctuation may not be as important as content to some people, there’s no denying it plays an important role. Using proper punctuation will help the voice over actor as he or she is reading the script, guiding them through pauses and stops and decoding which words need to be emphasized. Once you’ve written the script, read the whole thing beginning to end out loud. Reading aloud will help you catch errors and ensure that it all flows right. You will save yourself a lot of time, money, and effort by taking a few minutes to read your work out loud and make any adjustments before you hand it over to your voice talent. Is a Male or Female Voice Right for Your Project? Is a Home Studio Right for You?